My brother-in-law asked for this movie, The Devil’s Rain, for Christmas last year. I ordered it for him on Amazon without giving it much thought. It was only after I’d given it to him that I learned anything about it. First of all, it’s a movie from the ‘70s, and if you know me or have spent much time on this blog, you know I have an affinity for that (very kitschy) decade. Plus, it’s got Ernest Borgnine and a post-Star Trek / pre-Star Trek movies William Shatner. I had to watch this. And now I have. And wow, what a mess. And that’s saying a lot, because a film from the ‘70s featuring two icons of ‘70s film and some truly ‘70s subject matter (the supernatural — it seems the country was obsessed with the supernatural back then) hits all my “Cheesy Seventies Movie” checkboxes. My level of expectations was understandably low: I wasn’t expecting an Oscar-caliber film here. So what went wrong? Here's the corrected code as an example. Wrapping the mailMessage variable inside a using block implicitly calls Dispose() at the end of the block. This, here, is the last of Leonard Nimoy's five albums. Five albums. Some of my favorite bands haven't had five albums, yet somehow Leonard Nimoy did. It's also the only one of Nimoy's albums not to be available on iTunes. It may have something to do with one or more of the cover tunes featured on it. Where to begin...okay, so, Leonard's not exactly the best singer. And when I mentioned to a friend of mine that I was listening to this, he asked "Why do you hate your ears so much?" Included here are covers of Proud Mary by Credence Clearwater Revival, and Everybody's Talkin' by Harry Nilsson, either one of which could be the reason why this isn't available on iTunes. I just noticed that Leonard's headshot is different in each of the squares on the album cover...that very sparse, minimalistic album cover. 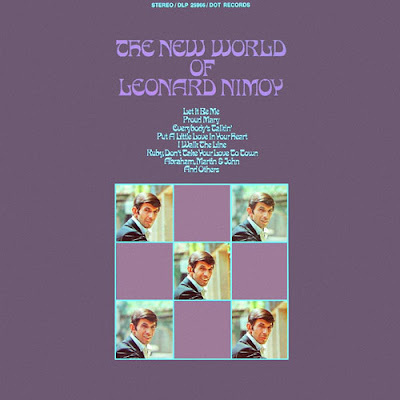 Apparently, that new world of Leonard Nimoy's has some wide margins and a lot of purple. 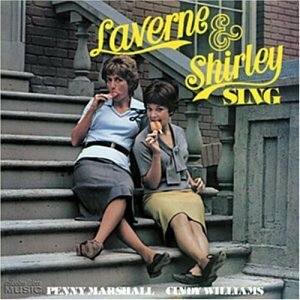 I’ve already written about ‘70s novelty albums based on Lenny and Squiggy and The Odd Couple, but this one is the piece de resistance of albums based on Garry Marshall shows: the way too optimistically titled Laverne and Shirley Sing. Personally, I think a much more accurate title would have been Can Laverne and Shirley Sing? While the album is long out of print, it was re-released on CD a number of years back, but that too is now out of print. But, shockingly, it's currently available on iTunes. Being a lover of obscure/weird/bad music, I paid the $7.99 plus tax to get it. And...wow...just...just wow. In all fairness, Penny Marshall (Laverne) and Cindy Williams (Shirley) are both talented individuals. It’s just that singing really isn’t one of their talents. But is it really that bad? To be honest, they're not horrible, it's just that the album sounds like two people singing karaoke. This is the second of three posts I'm doing concerning odd albums from the 1970s. It seems like if you were a television celebrity in the '70s you were sure to get one of two things: a variety show special or an ill-conceived album. Here, we have the latter. The Odd Couple Sings. Do they? Do they??? Well, sort of. Tony Randall (aka Felix) sings. 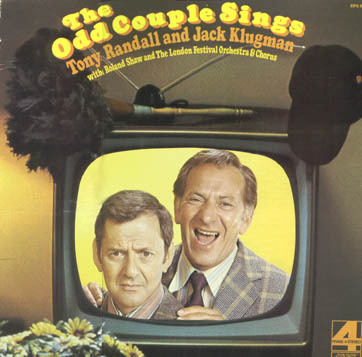 Jack Klugman (aka Oscar) not so much, and he even admitted as much. And it's evident from the very first track, entitled Johnny One Note, which seems to tell you right from the beginning "Look: Jack can't sing. I know it. Jack knows it. Now you know it." The 1970s were a weird, weird time. It’s one of the reasons I have such a fascination with that decade. This is the first of three posts I’m going to do on novelty albums from the ‘70s, all three based on TV shows from producer Garry Marshall. And this first one is, IMHO, the most palatable of the three. Lenny and Squiggy Present Lenny and the Squigtones is played for laughs. Recorded in front of a live audience and released in 1979, the album features Michael McKean and David Lander in character as Lenny and Squiggy from Laverne and Shirley. Several times on that series they performed as Lenny and the Squigtones, and this time they’re joined by a drummer and by future Spinal Tap guitarist Christopher Guest. Included here is the track Night After Night which had been performed by the duo on the show during a Shotz Brewery talent show. But it’s not just music. The album also contains comedy bits that are interactions between Lenny and Squiggy.